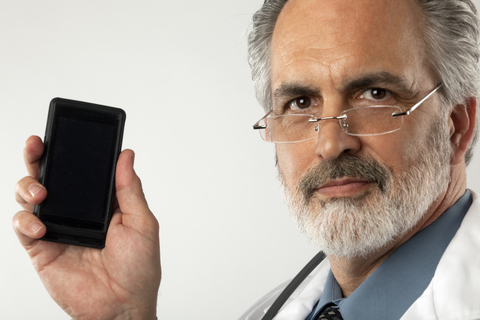 Should the use of mobile phones by health care professionals be encouraged? If you work for d4, a non-profit organisation focused on increasing the acceptance and affordability of mobile technology for health care professionals in the UK, this is a fundamental question I get asked a lot. And while it’s a straightforward question, I find the simplest answer (an emphatic “Yes!”) is usually just a starting point for a number of follow up questions and further debate. Rather than produce a frequently asked questions section for our website, we thought it would be best to use the d4 blog as a way to solicit feedback from those we are seeking to help by opening up our views to debate and comment. Therefore in a series of separate blog posts, we will put forward our argument for the greater use of mobile phones by health care professionals. In the spirit of this blog (see the inaugural post) we welcome your responses. In the first of the series, we summarise the main arguments for greater mobile phone usage by doctors, nurses and other health care professionals. Later posts will discuss these in more detail, as well as introduce key concerns and criticisms. This entry was posted in Use Cases and tagged doctors, health care professionals, mobile phones, nurses. Bookmark the permalink.